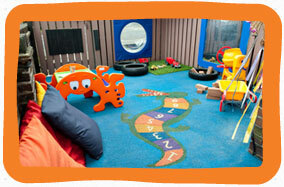 "Elan is a fantastic Nursery. All the staff go out of their way to welcome and care for my children. They are included and stimulated in a range of activities and they always come home happy which is testament to how well they are looked after by all the exceptional staff. Kelly the Nursery manager is an outstanding leader - she ensures that all staff understand their role and responsibilities to the children, everything runs very smoothly." Our Haywards Heath nursery opened in June 2005 at Perrymount Road, we added to our provision by opening our Sydney Road site in July 2015. They both offer excellent childcare in 2 great locations... both only 2 minutes away from Haywards Heath train station and only 2 minutes away from each other. 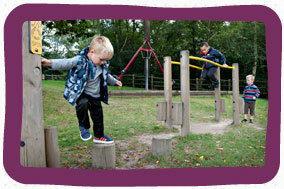 Perrymount Road offers childcare for our 0-3 year olds and Sydney Road is our dedicated pre-school facility. Our latest Ofsted inspection at Perrymount Road marked us good in all areas. Please have a read of our report by visiting the ofsted website, reports.ofsted.gov.uk. Our Sydney Road setting is registered with Ofsted, it's awaiting its first inspection.